Launching a new product? Need to motivate your team? Want to entertain your clients in a stress-free environment? 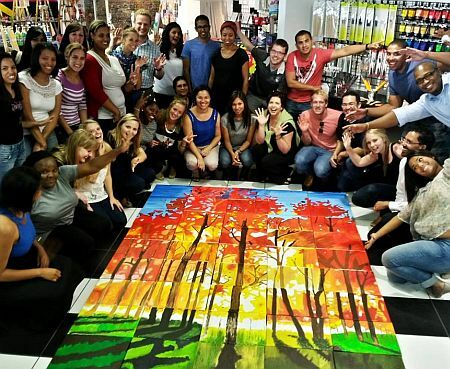 We will arrange a teambuilding event that will leave you in awe, and with a product worthy of an art gallery at the end of 2 hours. No painting or drawing skills are necessary. 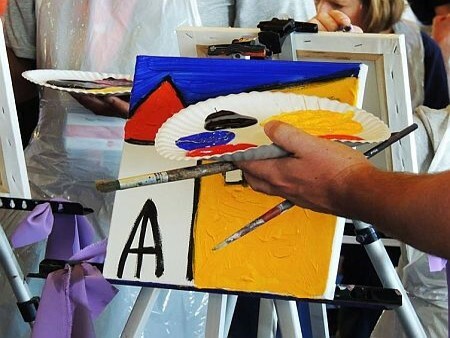 We turn any beginner into an artist within 2 hours. Some people jam music, here people jam art. 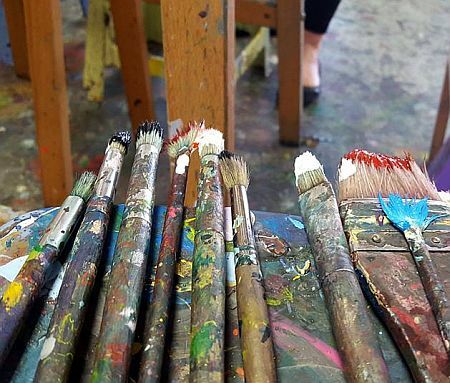 You simply walk in and let your imagination take hold of the paint brushes. 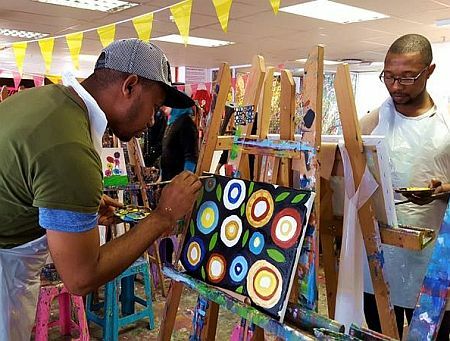 Artjamming™ is more than paint and canvas... it allows you to create your very own unique full colour art piece by fusing creativity and colour to a chillout beat. 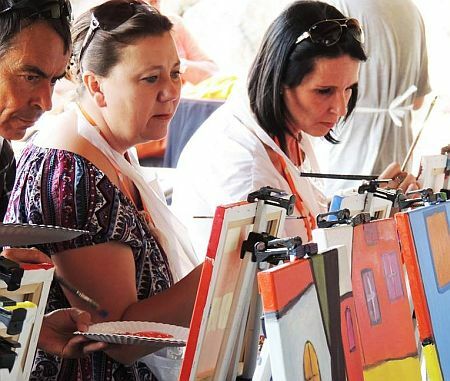 Whether it’s playing, painting, sponging or spraying, it’s about putting on an apron to face a blank canvas and unleashing your own individual creativity, that makes Artjamming™ the most fun you can have with a paintbrush. 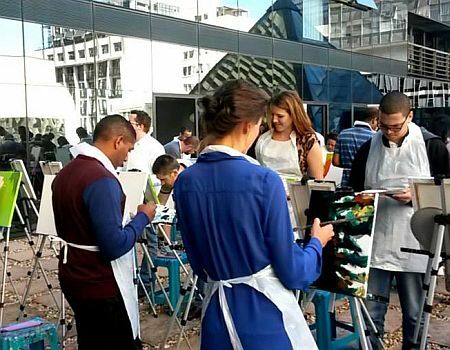 Artjammers are provided with a menu of 12 different size canvases, easels, a buffet of non-toxic acrylic paints on tap, brushes and tools to express themselves. 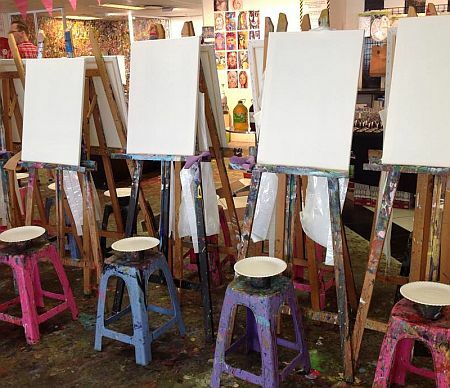 No drawing or painting skills are required, but for those who would like a helping hand or some inspiration, there are qualified artists on hand to assist. 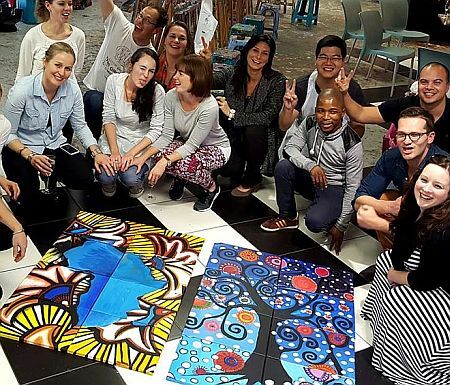 Whether you are launching a new product or brand, looking for a hugely inspirational teambuilding experience, or want to entertain clients, friends, or staff, Artjamming will facilitate. Click here for more teambuilding options.